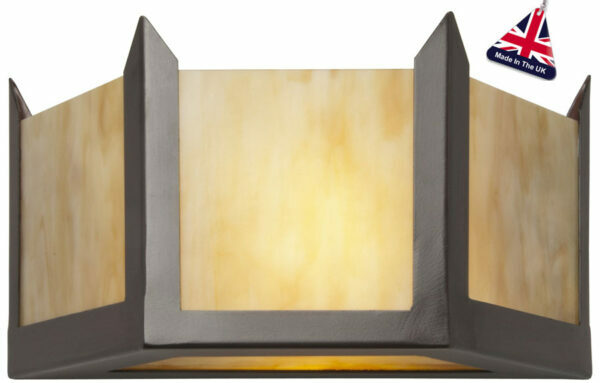 Superb angular design, with an English antique finish wall frame holding the amber and white opal glass. A truly stunning Art Deco design that will enhance any themed home. Part of the Hudson Art Deco lighting range, a wonderful hand-made in Britain, antique finish Art Deco style medium sized wall washer light, with feature amber and white opal glass.